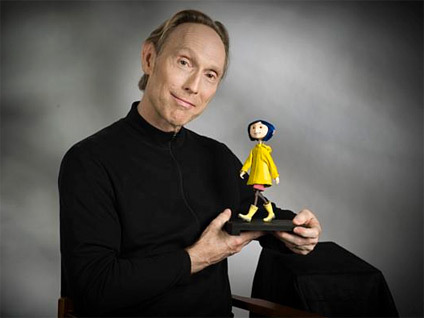 Henry Selick, who directed the animated features Coraline, The Nightmare Before Christmas, and James and the Giant Peach, offered an in-depth, intimate look at his early days and his career as an animator, in two programs presented by Museum of the Moving Image. On November 18, he discussed his work and his creative process in a conversation with the Museum's Senior Deputy Director Carl Goodman, On November 19, he spoke with Chief Curator David Schwartz after a screening of Coraline. The rich texture of Selick's work comes from its adherence to the physicality and hand-made quality of stop-motion animation.